The University of St. Augustine for Health Sciences is currently accepting applications for enrollment to the Doctor of Education (EdD) program from the following states: AL, AK, AZ, CA, CO, CT, DC, DE, FL, GA, HI, IA, ID, IL, IN, KS, KY, LA, ME, MD, MA, MI, MN, MO, MS, MT, NE, NM, NV, NH, NJ, ND, OH, OK, OR, PA, RI, SC, SD, TN, TX, UT, VT, VA, WA, WV, and WY. 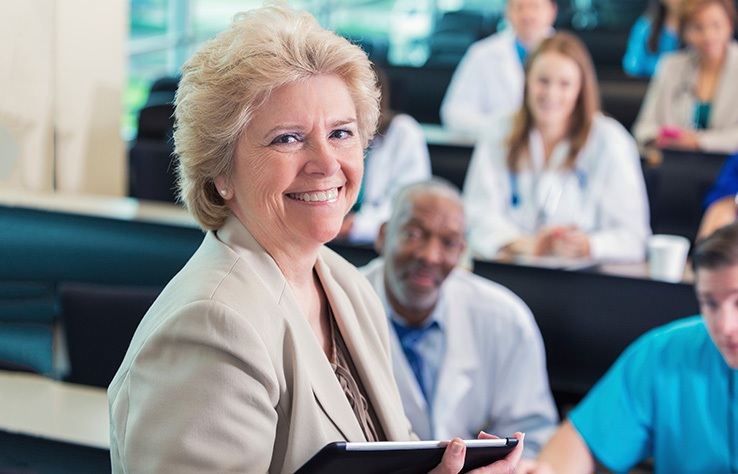 To ensure your success in the Doctor of Education program, a candidate must have completed a master’s or doctoral degree and have the desire to develop or advance their career in higher education for health science. Qualified applicants for the Doctor of Education program are eligible for the EdD Tuition Reduction of 25%. Students who are accepted and enroll for the next program start date can take advantage of this tuition reduction. Contact your enrollment advisor for further details.